Q: Glenair is a connector and cable company, right? What aspects of your work relate to soldier modernisation? A: Glenair has a 60-year-plus history of meeting interconnect and networking requirements for all branches of military service. Glenair connectors, cables, embedded systems, fibre optics and more serve on thousands of mission-critical platforms – from the Joint Strike Fighter to the Mars Rover. Glenair small form factor tactical connectors – including our ultraminiature Mighty Mouse series – have revolutionized size and weight reduction efforts in dismounted soldier systems since the onset of the first future soldier programs. 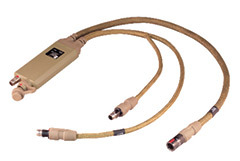 We invented the Mighty Mouse push-pull (QDC) connector used on so many of the fielded equipment sets in use today including radios, end user devices, laser range finders, heads up displays, batteries and of course soldier power and data hubs. Q: Would you talk about STAR-PAN™, the Glenair C4ISR power and data hub? A: Ruggedized soldier-worn electronics have revolutionized mission effectiveness. That being said, the evolution of integrated C4ISR technology for the Joint Terminal Attack Controller (JTAC) and other dismounted mission specialists has added significant weight to the soldier ensemble. Battery power management for the broad range of integrated electronic gear – from tactical radio communications, real-time video downlink, precision targeting and night vision technologies, GPS/navigation, blue force tracking, personal computing, smart phone integration and more – is a significant challenge in terms of mission length, battery weight and supply logistics. 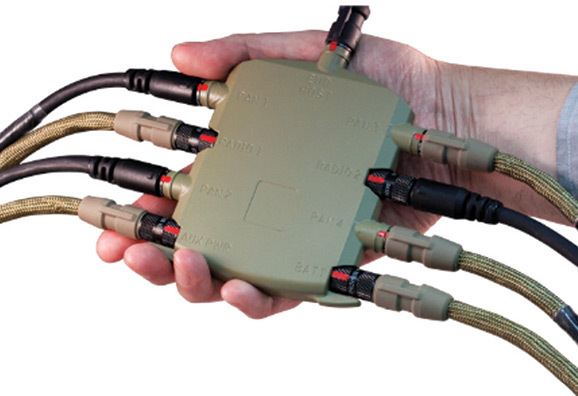 STAR-PAN™ is a soldier-worn Personal Area Network (PAN) hub and interconnect cabling system that delivers open non-propriety system network data access, peripheral device connectivity and user-controlled charging, scavenging, and battery power distribution / management. Across-the-board interoperability with US and NATO standards. Q: Is this a one-size-fits all solution, or is it scalable to different missions? A: STAR-PAN™ hubs can be daisy chained together and are available in 2, 4 and 6 port hub configurations. Scalability actually begins with the connector interface technology and cables. For example, we supply a simple bifurcated cable with a 5V regulator for plug-and-play EUD, radio and battery connectivity. 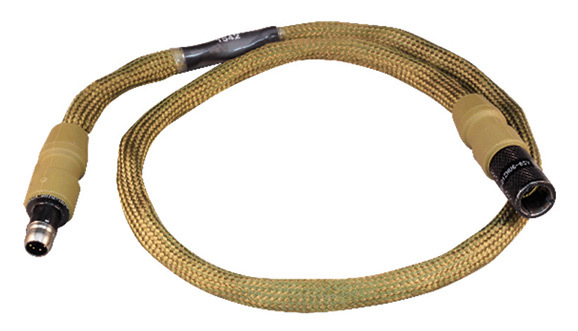 The same peripheral cables can be deployed in a simple two port hub, or as part of a six port dismounted soldier or vehicle configuration. The point here is that peripheral cables are all upward and backward compatible. 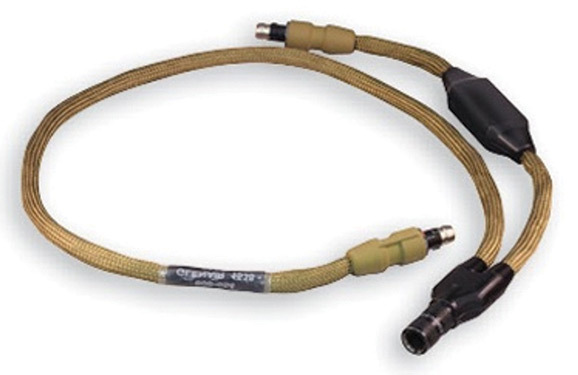 Scalability also applies to interface connectors for specialty devices, such as side-hat connectors for radios available on catalogue cable-sets. Specification of cable lengths is a simple dash number choice. Our C1-Extension cable (used in hub to EUD of Battery connectivity) is a catalogue solution available in whatever cable length is required by the user. Basically, we have connectorized cables for virtually every foreseeable combination of peripheral device and power supply as well as plenty of engineering talent to create new designs should they be required. Q: Situational awareness is a primary factor behind soldier modernisation. But size, weight and power (SwaP) are equally important. What has Glenair’s role been here? A: All STAR-PAN™ technologies, from the high-density Glenair Mighty Mouse quick-disconnect connectors and cables to the low-profile STAR-PAN™ hub enclosures are designed for optimal size and weight reduction as well as ruggedized environmental and EMC sealing and shielding. Glenair JTAC-Tough™ STAR-PAN™ technologies optimize power monitoring, conditioning, and distribution performance with on-board smart power management for longer missions and lighter loads. 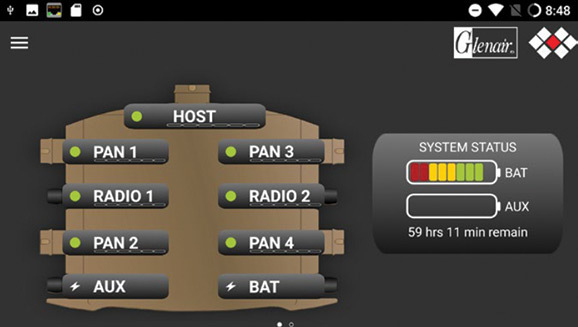 STAR-PAN™ power management software (an Android compatible app called SPAR) integrates seamlessly with all popular battlefield management software (BMS) packages and extends user control over available battery power, again with the goal of reducing battery weight. Let’s look at an example, the JTAC, an asset of modern warfare. JTACs are responsible for linking ground and air combat elements together for the greatest possible effect on the enemy while keeping friendly forces safe. To perform this role JTACs carry a mountain of electronic equipment, most of which is delivered with unique power and battery types placing a huge burden on the JTAC ultimately hindering their performance. STAR-PAN™ alleviates this problem by centralizing power distribution from multiple source while simultaneously delivering data to a common operating system or BMS. This lessens the SWaP to the JTAC while delivering the high levels of SA required to do their job. STAR-PAN™ is a key component element in the mission. It meets the open system architecture, interoperability and smart power management benchmarks required by today’s dismounted soldier missions, significantly improving situational awareness – all while optimizing SWaP. In fact, STAR-PAN™ – thanks to many years of battle-tested service – has become the hands-down industry standard for size and weight reduction in both US and NATO soldier applications. Q: In the end, personal area networking hubs are just as much about power management as data management, isn’t that right? A: Yes, and here’s why: STAR-PAN™ is an open-system USB 2.0 highspeed data hub. Its role here is essentially passive, routing network data from multiple peripheral devices to the dismounted soldier’s phone, tablet, computer or radio. Power is a different story however, and it is here that STAR-PAN™ earns its stripes. Board-level, embedded system power monitoring, conditioning and charging makes STAR-PAN™ the most powerful tool for extended mission life and operational effectiveness. We like to say smart power equals longer missions and lighter load because STAR-PAN™ significantly reduces the number of batteries that must be carried by the soldier. The rest of the story is built in embedded system functionality including charging of central batteries and trickle charging of radio batteries. 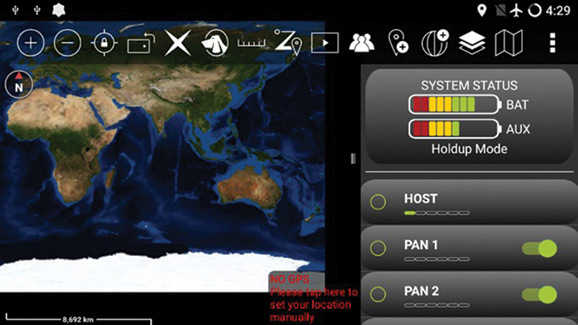 Glenair STAR-PAN™ power management functionality is further supported with Application Program Interface (API) codes and our power management App. The codes enable customers to integrate the power management option directly into their own software. Q: Any final thought regarding Soldier Modernisation? A: How about a big shout-out to end users and integrators for their valuable feedback that has helped us turn STAR-PAN™ into the industry leading DSS hub. We are more committed to the warfighter than ever and look forward to another 60 years of service.